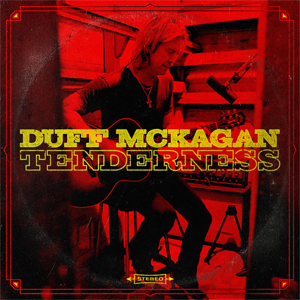 GUNS N’ ROSES bassist and New York Times bestselling author DUFF McKAGAN has released “Chip Away”, a new track from his much-anticipated solo album, TENDERNESS (UME) – check it out below. “"Chip Away" is somewhat of a rail against cable news and divisive agendas…all for the almighty dollar,” says McKagan. “The song also highlights the fact that history repeats itself over and over, and that we will all get past this, together." “Chip Away” follows the recent release of lead track “Tenderness” and both songs are available as instant downloads when pre-ordering TENDERNESS ahead of its May 31st release. McKagan and Jennings began recording Tendernessa year ago this month, working out of Station House studios, located in Echo Park, CA, where they wrote and recorded in-between McKagan’s tour with seminal rock band GUNS N’ ROSES and the release of Jennings’ eponymous album, Shooter. TENDERNESS features Jennings and his band along with appearances by The Waters and The Suicide Horn Section (which features Duff’s brother Matt McKagan on trombone), amongst others.